Skye Bank and political meddling in the corporate sector. The CBN recently announced that it had approved the revocation of the operating license of Skye Bank. It created Polaris Bank which the Asset Management Company of Nigeria (AMCON) will recapitalize with N786 billion. Even as many Nigerians were taken aback by the news, the informed and particularly those in the financial sector knew the action had been long coming considering the lingering liquidity squeeze in Skye bank and the apex bank’s obligation to act proactively in order to secure depositors’ funds and forestall potential threats to the stability of our financial system. But the recurring insolvency issues within the banking industry is now causing serious concern among a populace that is expected to key into the ‘cashless’ singsong being trumpeted by the authorities. Interestingly not a few financial experts are of the opinion that had the CBN been stricter in its regulatory duties, the situation could have been better managed or completely avoided. 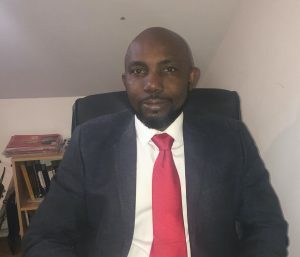 “While shareholders of Skye Bank have lost their investments, what happened to the management who took the decision and those professional consultants who did the due diligence reports that the management relied on to make decisions?” queried Moses Igbrude, publicity secretary, Independent Shareholders Association of Nigeria. “It is high time regulators address the issue of fake consultants who parade themselves as professionals or else this will continue to happen,” he added. In 2016 the CBN had sacked the bank’s board of directors citing the bank’s failure to meet minimum thresholds for critical prudential and adequacy ratios as reasons for its intervention. The bank’s chairman then was Mr. Tunde Ayeni, a popular backer of former President Goodluck Jonathan. The rumour mill was filled with insinuations that the Federal Government was going after the bank in a political witch hunt. But those in the know were aware of the huge indebtedness to the bank by Ayeni and his business partners. Reports had it that Mr. Ayeni and his business partners had used several companies to borrow over N400 billion from the bank. Broken down into N110 billion to Jide Omokere Group, N191 billion to Fadeyi for Pan Oceanic Group, and N120 billion invested in the privatisation programme to acquire the Yola and Ibadan DISCOs. They also bought NITEL and Ascot Offshore Nigeria Limited, an oil servicing company. To make matters worse Skye bank further burdened itself with the acquisition of Mainstreet bank (formerly Afribank PLC) for a whopping N126 billion in the last quarter of 2014 despite red flags raised by its shareholders. Of course, there is nothing wrong with the bank’s ambition to propel itself into the league of elite banks but such an audacious growth strategy using depositors funds cannot be described as proper risk management. Add all these to the humongous loans and you have a recipe for disaster. Given the situation, it required no clairvoyance to predict the path in which the bank was headed and expectedly it didn’t take long for the downward slope to commence. One of its debtors, Integrated Energy Distribution and Marketing Company Limited which paid about $56M to acquire the Yola DISCO returned same to the Federal Government in a little over a year citing operational difficulties in a conflict area. They demanded the repayment of $186M predicated on force majeure from the same government that declared a state of emergency in the region pre-privatization. Unfortunately, the Jonathan administration which eventually approved a refund after a joint assessment was carried out with the BPE didn’t win re-election and subsequently not a dime was paid. 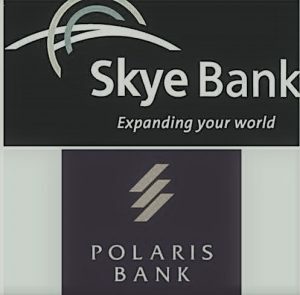 Undoubtedly the ill-advised acquisition of Mainstreet bank also contributed to the crisis that bedeviled Skye bank but the political meddling via insider lending which largely became bad loans did the most damage. As the bank continued to stutter while its erstwhile director Mr. Ayeni had run-ins with the EFCC, a news report alleged that “a forensic audit revealed how the bank operated two sets of financial accountability/books which was responsible for the regulators/auditors inability to detect the massive losses and infractions, particularly the balance of N280 billion in suspense accounts”. You just couldn’t make this up, it is analogous to the classic case of “one lawyer with a briefcase” right out of the pages of Mario Puzo’s Godfather. Haven’t we been through similar incidents time and time again? From the alleged involvement of Bukola Saraki and Jim Nwobodo in the demise of Societe General Bank and Savannah Bank respectively to the thousands of affected Nigerians who are yet to recover from the trauma caused by Cecelia Ibru’s Oceanic bank fraud and Erastus Akingbola’s Intercontinental bank debacle. I have an in-law who is yet to receive her severance benefit from Access bank. Outside the banking sector, we have also had reports of overbearing political influence behind the struggles of Transcorp, NICON and more recently Etisalat to mention just a few. Many experts are of the opinion that if the CBN had discharged its regulatory role more assiduously, we would have a different tale today. 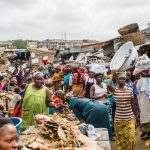 In a country of about 200 million people where over 60% of government revenue is spent on less than 1 million public servants, it is preposterous that only fifty customers owe commercial banks about N5.23trillion, representing 33.4% of the total private sector credit exposure of N15.68trillion as revealed by no less than the CBN itself. This where Malcolm Gladwell’s opening quote becomes tempestuously glaring. Emefiele has enormous resources available to him. He must be more circumspect, meticulous and ruthless in executing his oversight functions. Much as democracy guarantees inclusivity for all there is a need to underline the rules of engagement and practice, especially in a corporate sector that is the crucible of every economy. Free enterprise must never be misconstrued as fleece enterprise. 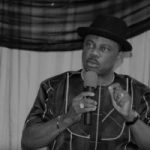 Next article Obiano: What legacy for APGA? Obiano: What legacy for APGA?